Scientists studying the habitability of Earth-like worlds have discovered that the conditions for alien life exist on some of the nearest planets to our solar system. 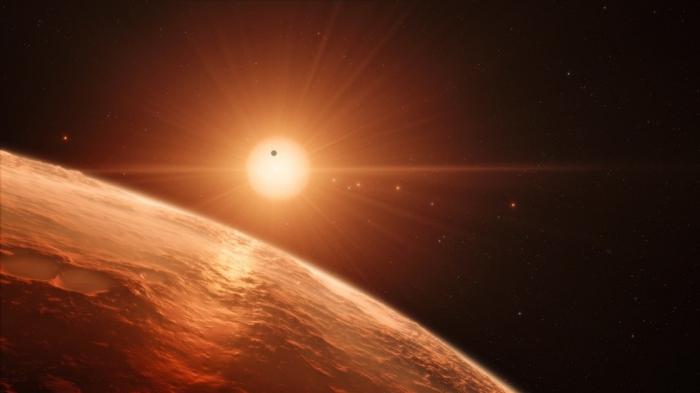 The researchers found that rocky outliers in the habitable zone of neighboring red dwarf stars could host life despite the planets’ high levels of radiation exposure. In a study published in the Monthly Notices of the Royal Astronomical Society, Cornell University scientists found that life here on Earth evolved from creatures that endured even greater UV radiation exposure than nearly a handful of the closest exoplanets, i.e. planets outside our solar system. By modelling the surface UV environments of our four closest potentially habitable exoplanetary neighbors, the authors found that these exoplanets’ radiation exposure was significantly lower than what Earth received 3.9 billion years ago. They concluded that ultraviolet radiation should not be considered a limiting factor in the search for planets that can host life. “Our closest neighboring worlds remain intriguing targets for the search for life beyond our solar system,” the researchers wrote in their paper. The closest planet, Proxima-b, receives 250 times more x-ray radiation and potentially hazardous UV radiation exposure than Earth does today. However, life on Earth survived far worse exposure, the authors argue, so why not on our neighboring exoplanets? In addition, not all wavelengths of UV radiation are equally damaging and the planets’ ozone levels, not just their radiation levels, are important to factor in to any long-term habitability studies.